Books for Babes provides info on the sort of comics that can be enjoyed by children and adults alike. 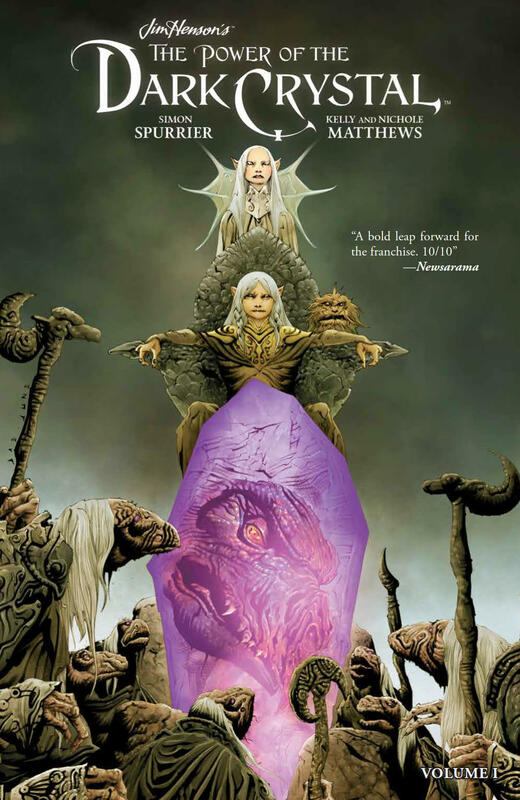 This week we recommend ‘Jim Henson’s The Power Of The Dark Crystal Vol. 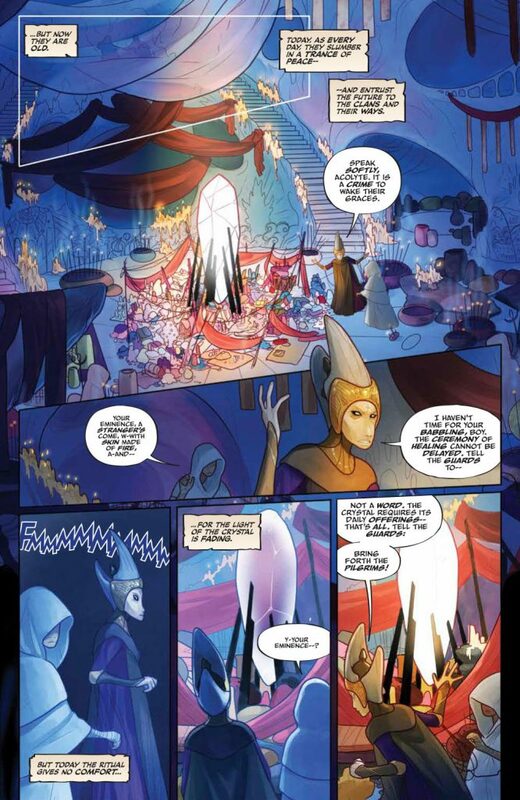 1′ softcover, out now from Archaia, an imprint of BOOM! Studios. by Stefania Rudd. When it came to visual storytelling, Jim Henson had the ability to evoke a range of emotion through his imagination and creativity. His works have become timeless and, as a result, have been translated into various mediums over decades. 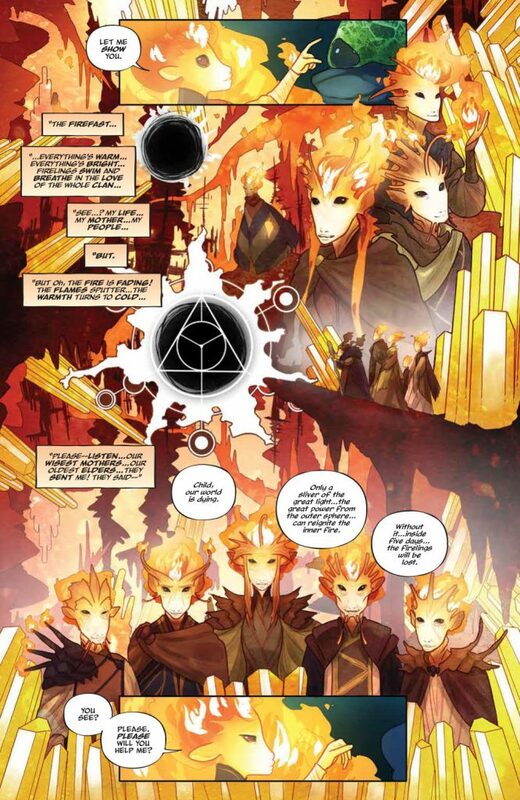 Archaia, an imprint of BOOM! Studios, has diligently published versions of Henson’s creations in comic form over the last few years, written and illustrated by some of today’s most talented creators. 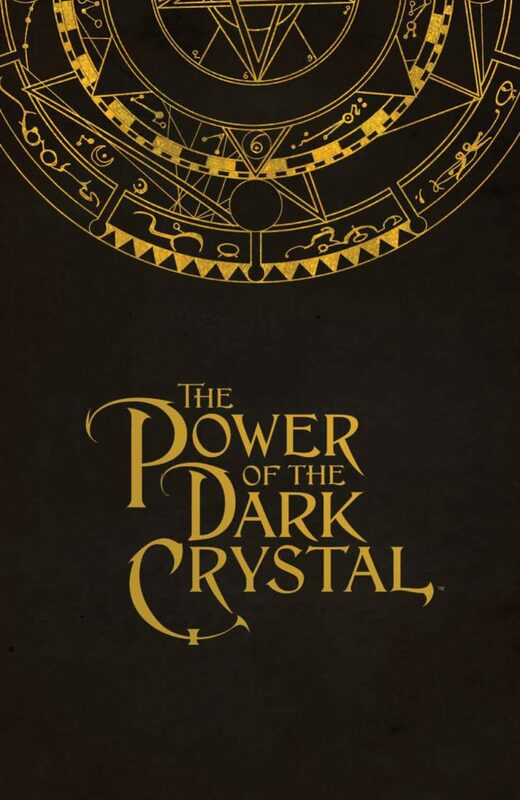 2017 marked the 35th anniversary of The Dark Crystal, and Archaia celebrated this milestone by releasing a new series, The Power Of The Dark Crystal. Power is considered the official sequel to the film, and follows its events 100 years after the fact in twelve gorgeous issues. Today we’ll be talking about the contents of the series’ first volume, which collects issues #1-4, and is now available in paperback (a hardcover edition is also available). 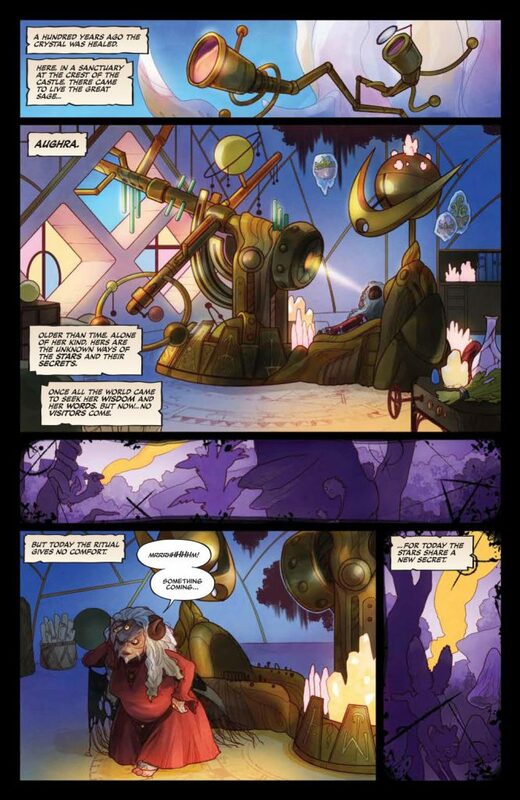 Writer Simon Spurrier (Six-Gun Gorilla, Judge Dredd, Star Wars: Doctor Aphra), who adapted the story from an original, unproduced screenplay by David Odell, Annette Odell and Craig Pearce, brings Power to the page in an enthralling way. From the first few pages he sets the stage, filling in details of what occurred a century before, and what is currently happening in the land of Thra. 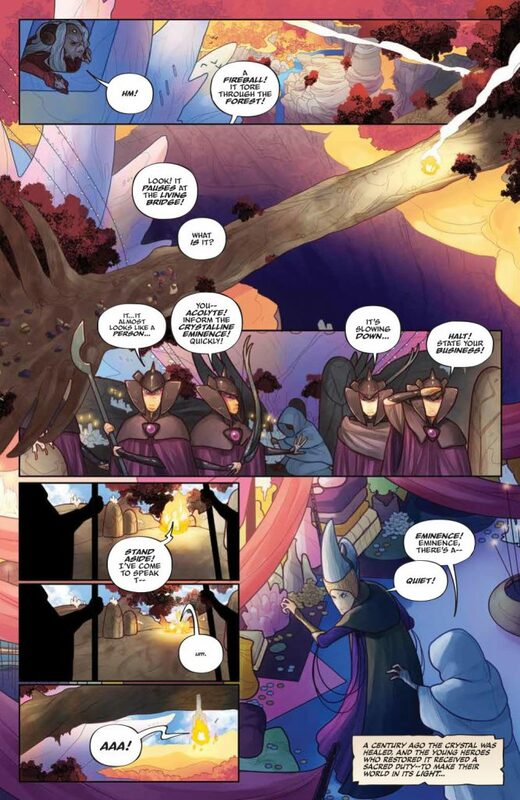 Spurrier provides just enough exposition to understand the story without feeling like a total primer; we are also quickly introduced to the series’ new main character, Thurma (a Fireling), and her motives that drive this tale. 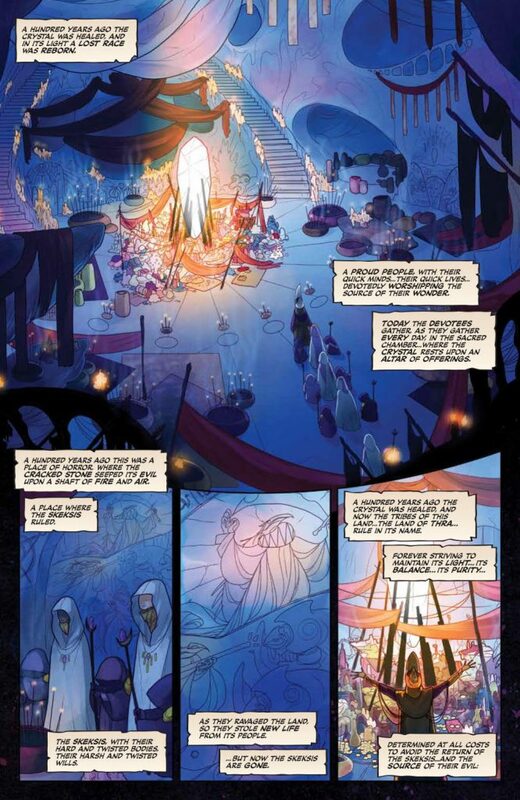 Although Thruma is a being from a fantasy world, Spurrier grounds the story by conveying the character’s relationships in tangible ways: Helping a new friend in trouble, remaining honest and true to past commitments, and defending yourself and those you love against evil threats are just some of the themes in this story. 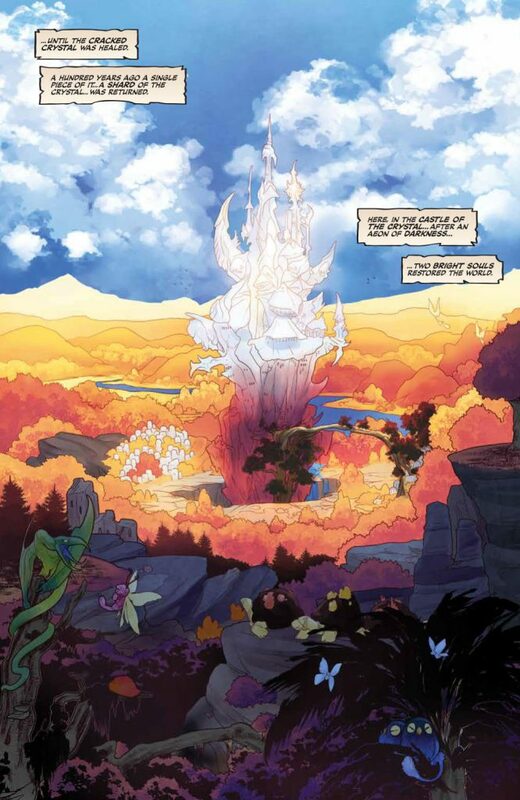 If the narrative wasn’t already captivating enough, the amazing artwork will certainly grab hold of you. 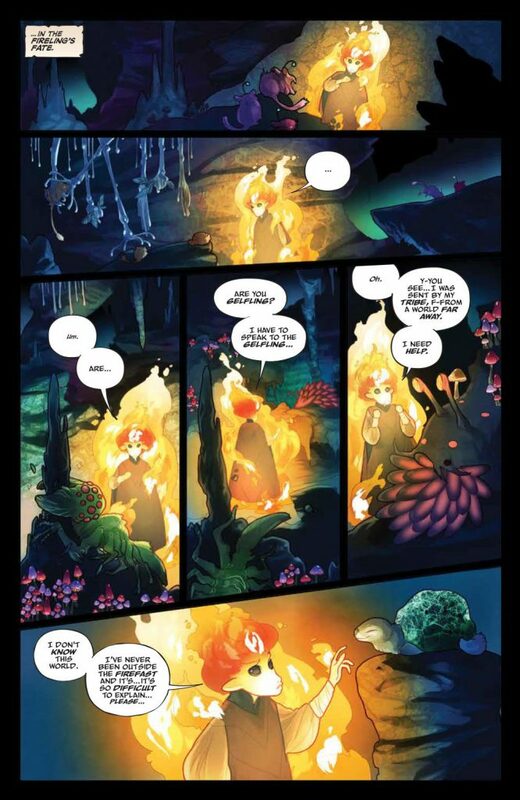 Transporting you to the center of the action are artists Kelly and Nichole Matthews (Pandora’s Legacy, R.L Stine’s Just Beyond: Scare School, Creature Feature), who give us so much to look at and they do it in a very detailed, colorful, beautiful way. It would be easy to merely replicate the puppets/original drawings; instead, the Matthews make the characters their own by realizing them in their unique style. 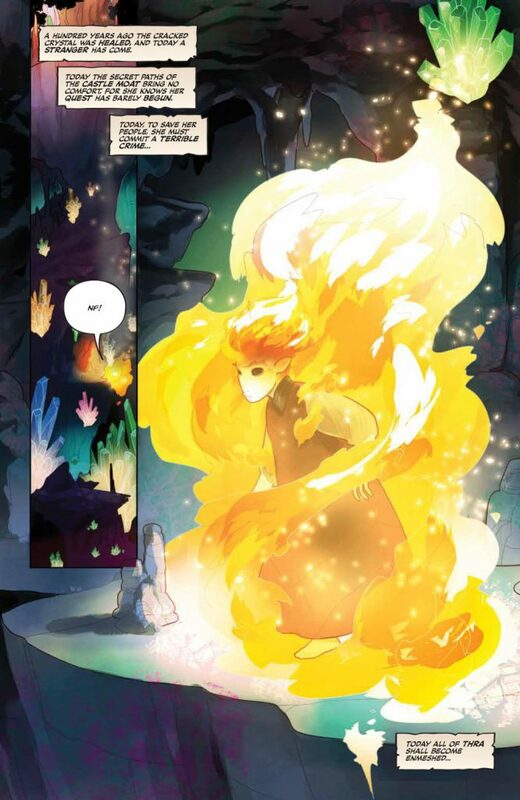 (It should also be noted that the chapter breaks in this book are done by Sana Takeda and are reminiscent of her Monstress work at Image Comics, which fit nicely overall with the Matthews’ chapter art.) One thing I thoroughly enjoyed was Jim Campbell’s different approaches to the lettering—the Gelflings, Skeksis, and Mystics all have their own elocution, and so Campbell visualizes them in clever shorthand. It creates a sense of emotion in their dialogue in a really cool way. Even though the holiday season has since passed, volumes two and three are also in stores now; this could be a terrific trio of books to gift to someone who has always loved the original film, fantasy stories in general, or Jim Henson’s work. 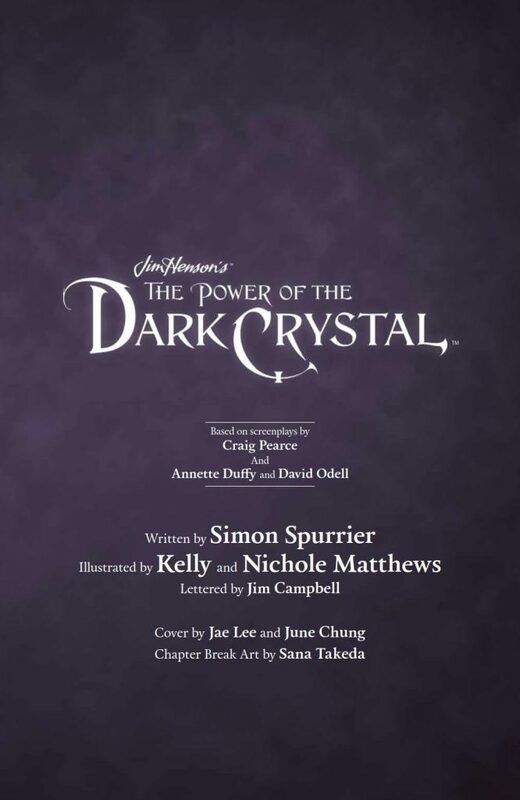 The Power Of The Dark Crystal Vol. 1 is a truly lovely start to a series that has enchanted long-time fans who long wished to see a sequel played out, but it’s also a wonderful way to introduce audiences new to the land of Thra and all of its magical complexities. Art by Kelly and Nichole Matthews. 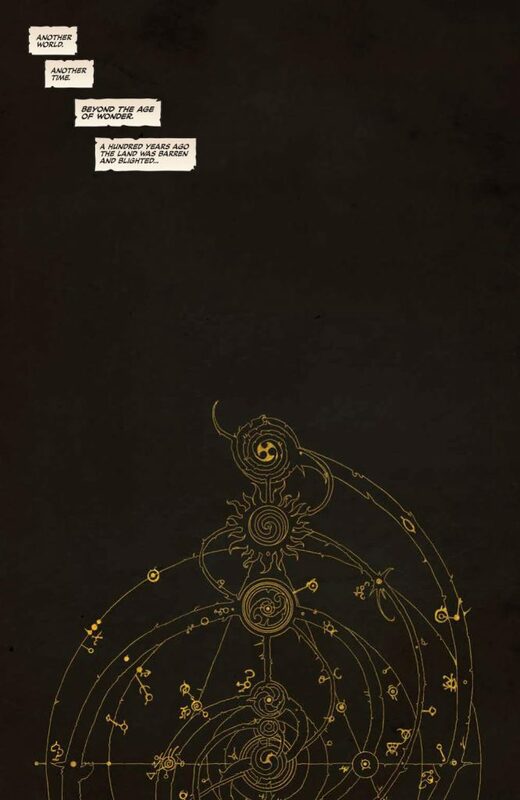 Cover art by Jae Lee and June Chung. Chapter Break art by Sana Takeda. This book contains fantasy violence and frightening creatures. Enjoy this 11-page preview of ‘Jim Henson’s Power of the Dark Crystal Vol. 1’ SC, courtesy of Archaia, an imprint of BOOM! Studios!